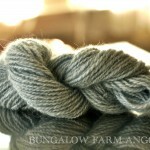 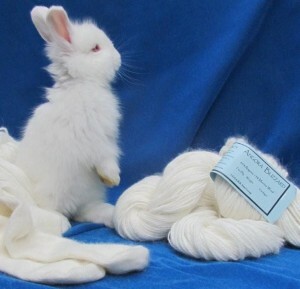 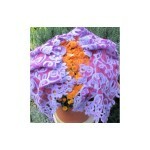 A place for IAGARB Members to show their items made from their IAGARB yarns and German angora fiber. 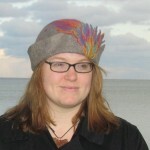 Cersten from Illinois made this felted hat from 50% German angora and 50% merino. 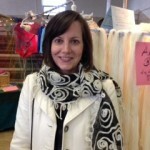 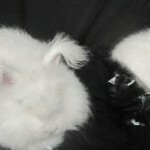 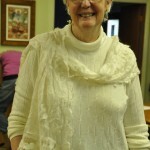 A Beautiful Customer in Her New Angora Scarf! 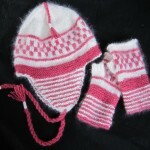 Political Process Mitts by Jen Gall. 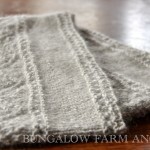 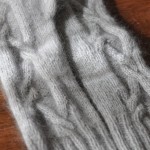 Knitted by Erin Maclean with Silver Blizzard yarn. 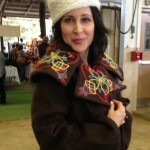 A visitor to our booth was happy to model an knitted Angora Blizzard hat and a felted coat. 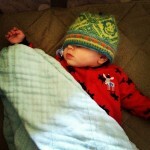 Baby Joey and his new Angora Hat!